This review of our movie Robot Revolution by The Movie Guy on Amazon is a pretty good review. I mean, I think the review is thoughtful and reasoned and dude didn't even like the movie. I'm taking this time to comment on a review to see what we can learn from it. In this case it is best to read the DVD cover prior to watching the film so as to understand some of the background. Oof. If that really is a consensus opinion then we did do too bad a job explaining the backstory. That's a rough line to toe because you can come off way too heavy-handed and "on the nose" if you over sell the backstory. But if you under-explain the backstory it'll irk a lot of people (interestingly, not all people). There didn't seem to be a message or theme to the madness, possibly because the story was poorly developed. The whole idea is that the bad guys don't exist -- they're created by the government in order to keep people in line. Granted, that's explained very briefly at the end of the movie. So I don't know if that was a mistake on our part or if The Movie Guy just missed it. The film wasn't half bad up onto the point they had 7 people in a room basically doing nothing for a far too long period of time. After this the film lost me as far as entertainment value and continued on a downward slide. Dang. I felt that part worked in this movie. It's always a problem in low-budget pictures like this that you have a quiet part in the middle. But I thought we'd earned enough with these characters to have that 7 people in a room talking scene. 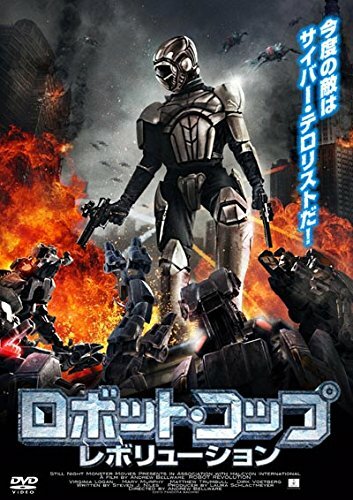 This is a somewhat low budget film, that used some decent effects, including a cleaner robot that didn't seem to be CG. The shooting was framed well, the sound was good, I never saw a microphone. Somewhat low budget? I think we spent $8000 on the picture altogether. I'm glad he liked the sound and the framing. Ha! I painted out most of the boom mics but the dialog was almost entirely with wireless lapel mics. But saying the cleaner 'bot didn't look CG? That's quite a feather in my cap. It's a CG robot -- it's in the creative commons even -- made by Ian Hubert.